The word "curation" is thrown around liberally online, but greeting card subscription services are one area where I think it actually fits. There are many thoughtfully and skillfully designed greeting cards out there, but it often takes quite a bit of trolling around on Etsy and individual artists' web sites to find them. 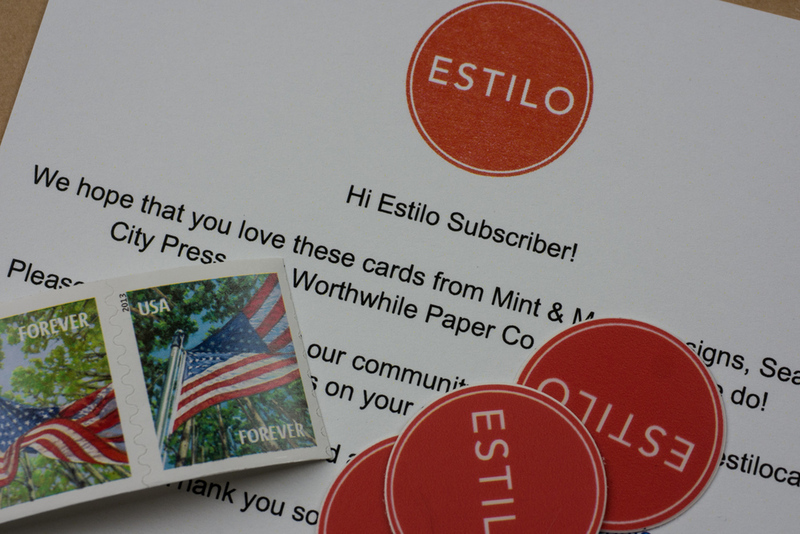 I wrote about the excellent Nicely Noted card subscription service in December, and I recently learned of another great service, Austin-based Estilo, in the best possible way. I received a subscription as a Christmas gift from my wonderful sister and brother-in-law! Estilo is a Spanish and Portuguese word for style, and my first subscription delivery lived up to the billing. 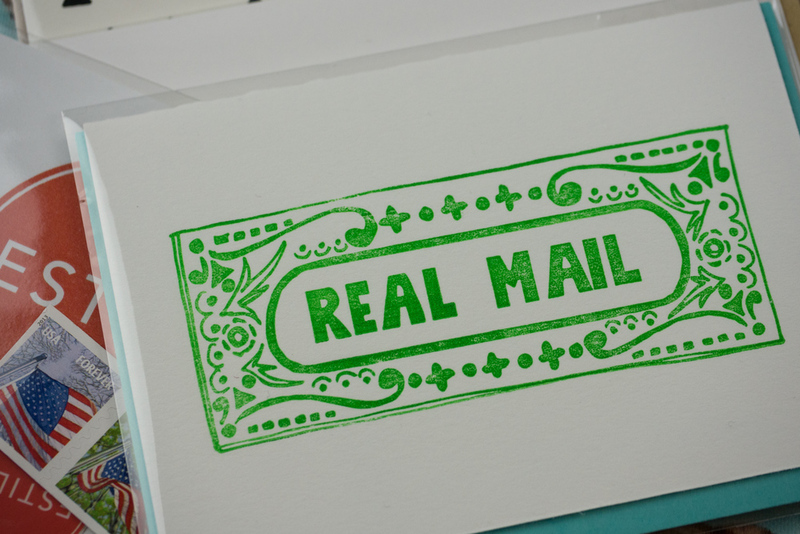 My favorite of the first batch was this letterpress-printed "Real Mail" notecard from Washington, D.C.-based Sea Heart City Press. 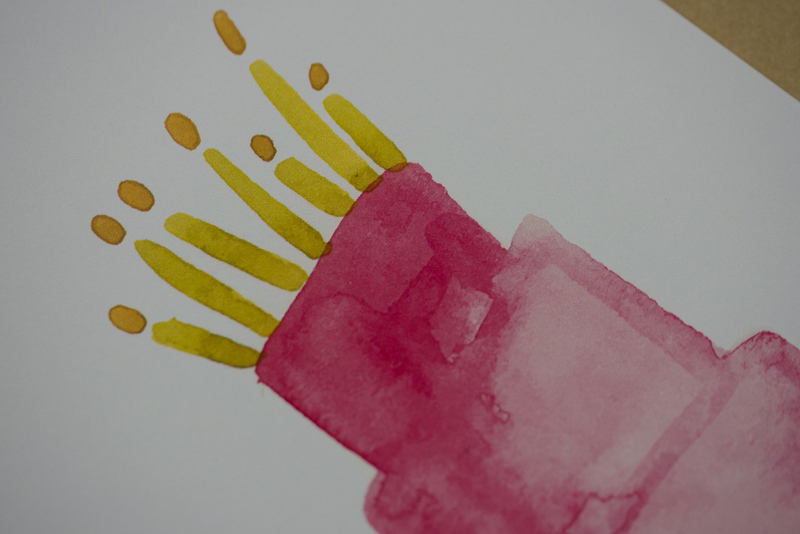 There was also a great watercolor-style birthday card from Austin-based Mint & Maple Designs. 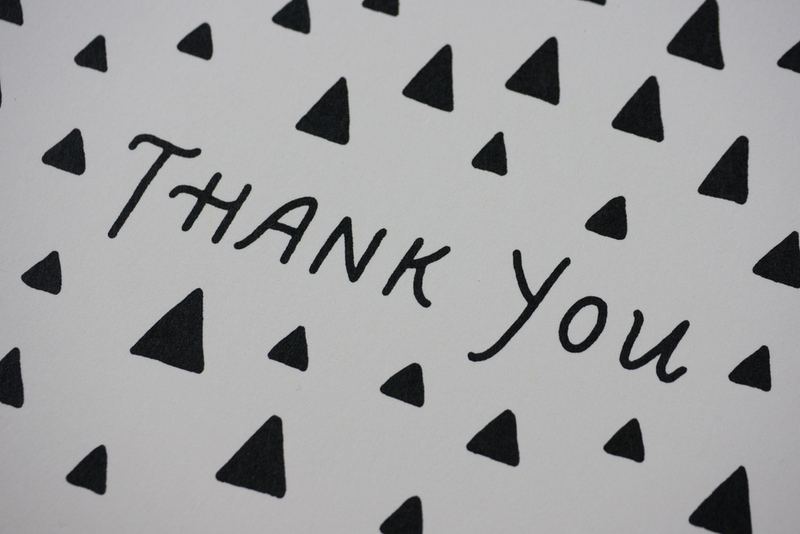 And rounding out my first shipment was a lovely silk screen-printed thank you notecard from Ypsilanti, MI-based Worthwhile Paper. So far, I really like Estilo's spin on the card subscription concept. They've already put some new independent stationery designers on my radar screen. I also really like the fact that they've made social responsibility part of their charter through initiatives like their partnership with the Children's Art Project at MD Anderson Cancer Center. Estilo offers a monthly subscription for $15 and an annual option for $150. Visit estilocards.com to learn more.